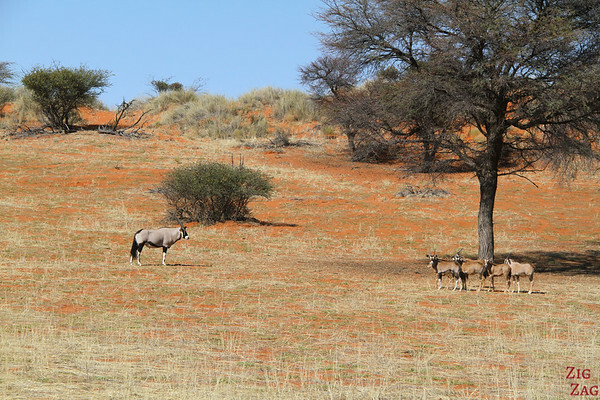 Kalahari desert: My first ever game drive! 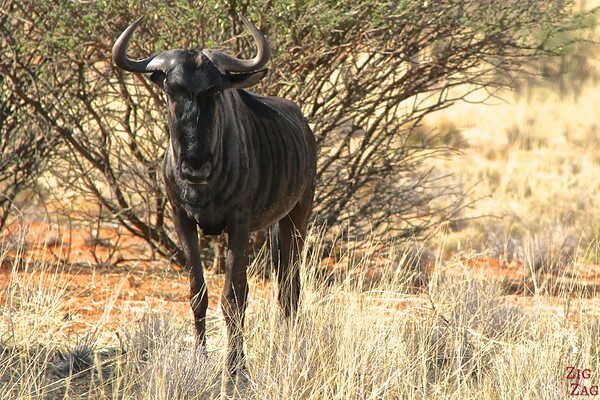 I have dreamt about it and there it was: my first ever game drive! 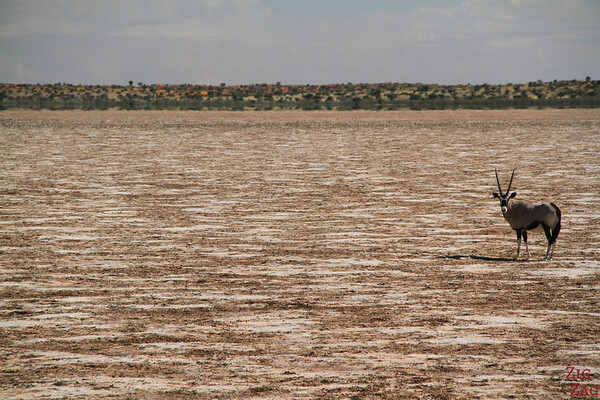 It happened in the beautiful landscape of the Kalahari desert. And the best of all is that we were the only ones, no tourists around us. 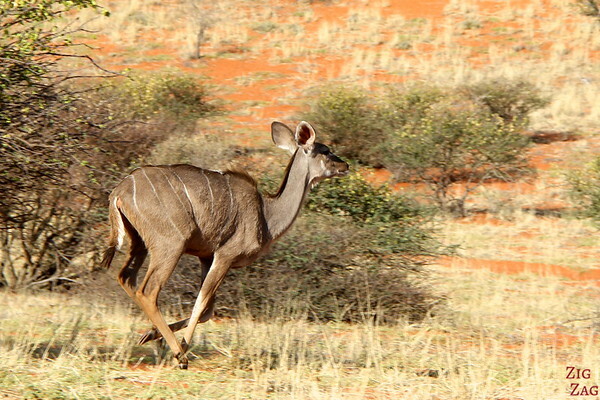 Just the animals: giraffe, oryx, kudu and more! 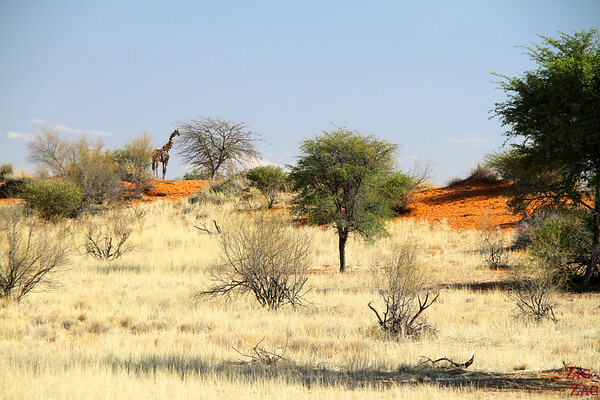 The Kalahari Desert is not technically a desert, there are almost 500 species of vegetation that thrive during the rainy season. So we also find animals. Many animals. 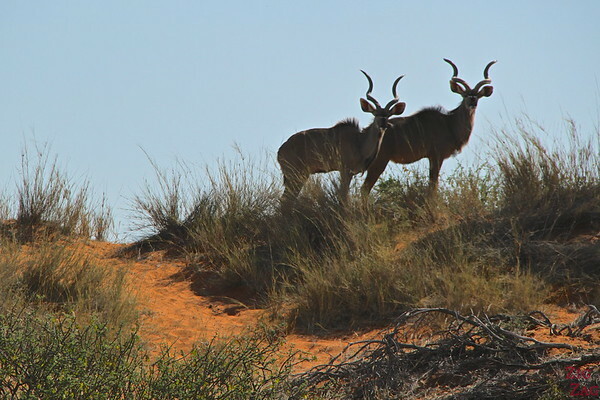 Wildlife includes meerkats, springboks, blue hartebeests, ostriches, giraffes, kudus, orryxes and more. 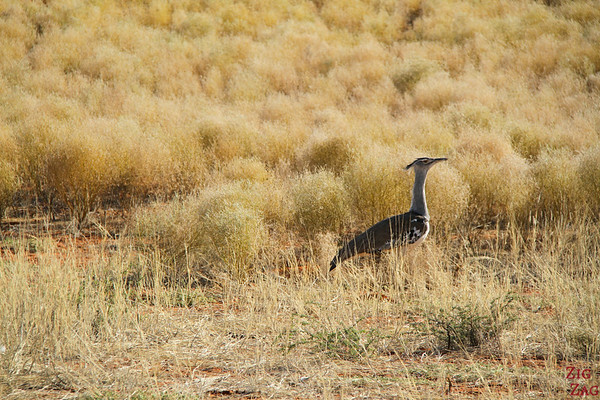 What I really enjoyed about it was the mix of incredible landscapes with orange sand dunes and the wildlife. 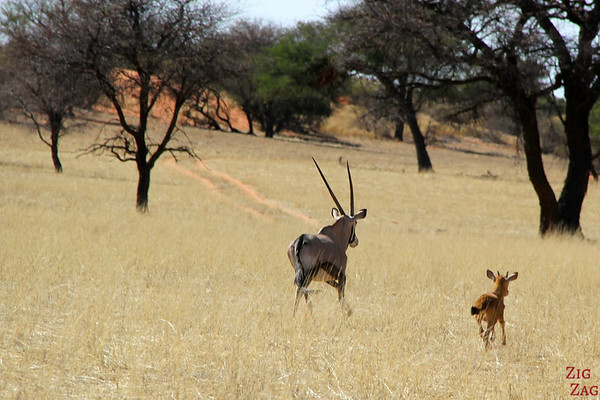 Is the adult Oryx teaching a class? 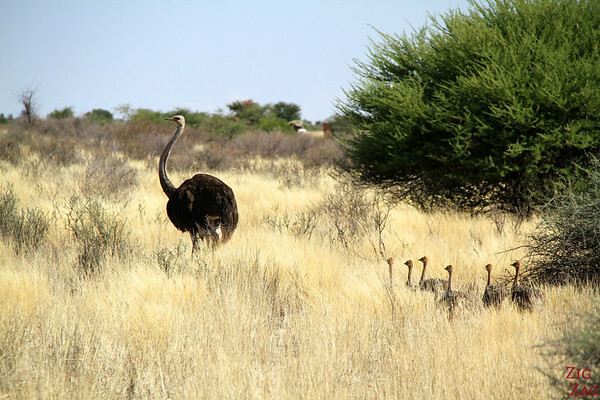 The Ostrich family. Adorable, aren't they? 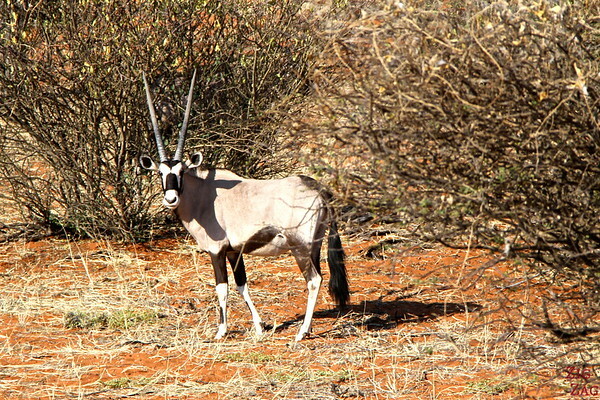 I think Oryx are magnificent, don't you?